Purpose: This invaluable tool is essential to the first part of setting up a PPC campaign. Enter in the base keyword (in this example, “hawaii hotel”) and see all of the variations that people are using to search for Hawaii hotels. Purpose: Running out of ideas of what to do keyword research on? Use this tool to get ideas! Just enter in your domain, and let Google Search-Based Keyword Tool do the rest. They’ll crawl thru your website and identify keyword ideas based on your site’s content. Purpose: Now that you have a set of selected keywords, let’s take it to the next level and research traffic estimates. Take your chosen keywords and run them through the traffic estimator tool; this will tell us the predicted amount of traffic and cost for a particular keyword. If it looks like we won’t receive any clicks from a word, or if it is too expensive, we will eliminate it from our campaign. Purpose: Do you ever wonder what keywords your competitors are running? Now you can find out with Spyfu. Simply enter in the domain of your competitors and this tool will tell you what keywords your competitors are running on. Purpose: Do you ever wonder what your feeder markets are? Or, if you should optimize your website for Honolulu Hotels vs.Waikiki Hotels? You can get all of this information from Google Insight for Search. Simply type in the term you are interested in and it will tell you information as about everything from traffic volume to the geographic location of where the greatest search volume of this term is taking place. While there are a variety of PPC tools available, we have shared with you our favorite 5. We found that these tools are essential to every step of our PPC process, whether it’s setting up or optimizing a campaign. 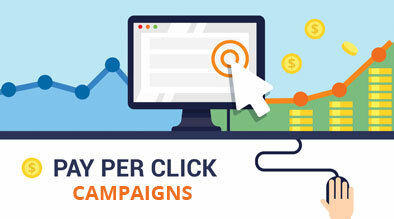 If you have discovered a useful PPC tool, please do share with us! i m Working with adwords for last 5 Year and finally i have made a masterpiece which contains all the solution about Adwords Soo Do me Feedback soo i can make it Better for you people to understand.